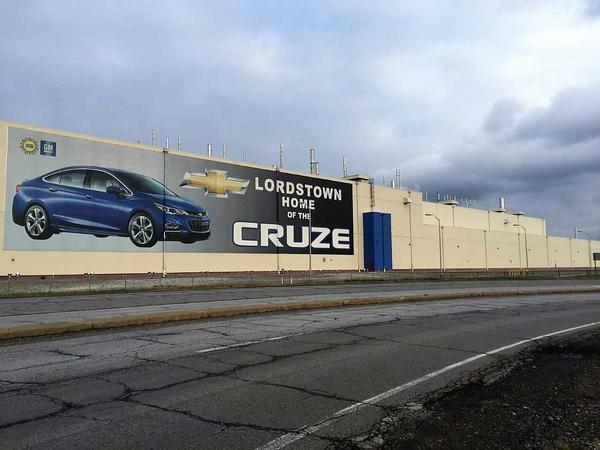 Lordstown’s Drive it Home Campaign is heading to the Detroit Auto Show. Advocates for the local GM plant say they want to create a “presence” in the minds of decision makers in the motor city. The northeast Ohio contingent includes auto workers and union, political and business leaders. Ohio Governor Mike DeWine and Lieutenant Governor John Husted are going to the Detroit Auto Show too. The pair plans to talk with GM CEO Mary Barra. Hill says the Drive it Home group will meet with them beforehand to encourage them and to show how active the support for Lordstown is. Copyright 2019 WKSU. To see more, visit WKSU.